The agricultural industry is increasing in self-sufficiency. Zimbabwe farmers dispossessed of land will be compensated, new president Emmerson Mnangagwa has said, as the country continues its drive for self-sufficiency. President Mnangagwa was inaugurated in November after Robert Mugabe resigned following a military coup. But current land reforms announced by the previous regime will not be reversed, after the former president warned in September all white farmers remaining on the land must move out. Could Australian style grading system provide farmgate boost? It followed reforms in 2000, where more than 4,000 white farmers had land taken without compensation, with at least seven farmers and dozens of farmworkers killed, with the policy aimed at returning land to black farmers following years of colonial rule. Speaking in his inauguration speech, president Mnangagwa said the principle of repossessing land could not ‘be challenged or reversed’ as dispossession of ancestral land was the ‘fundamental reason’ for waging the liberation struggle. But he called on the beneficiaries of the Land Reform Programme to show their deservedness by using the land for national food security and to recover the economy. “My Government is committed to compensating those farmers from whom land was taken, in terms of the laws of the land. “As we go into the future, complex issues of land tenure will have to be addressed both urgently and definitely, in order to ensure finality and closure to the ownership and management of this key resource which is central to national stability and to sustained economic recovery,” he added. This year, the Government also implemented its ‘Command Agriculture’ scheme aiming to increase production and reduce the reliance on imports. 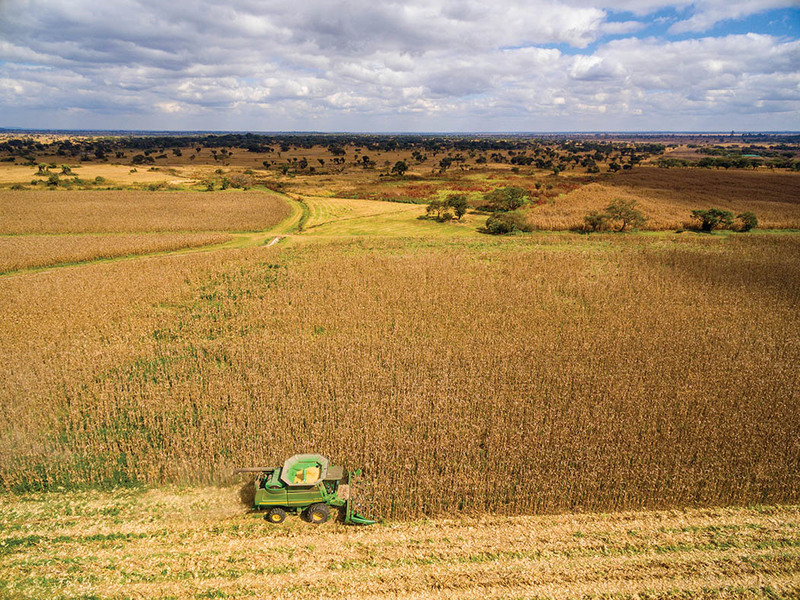 Following its introduction, USDA estimated the 2017/18 season will be the first time in more than a decade the country will be self-sufficient in corn, with production up 300 per cent year-on-year, at 2.2 million tonnes. Winter wheat production was also five times higher at 105,000t, but 200,000t of imports would still be required. New Zealand farmers will once again find it easier to buy land in their home country over foreign buyers after a change in tact by the government. Federated Farmers backed New Zealand Government’s decision to narrow the factors taken into account by the Overseas Investment Officers when assessing applications by foreigners to buy rural land, after previous rules favoured sales which provided better economic and technological benefits than those offered by NZ buyers. The European Commission must stop buying-in skimmed milk powder stocks ‘under public intervention’ without due market justification, EU Commissioner for Agriculture and Rural Development Phil Hogan said. Speaking at the Food Wise Conference, Croke Park, this week, Mr Hogan said the Common Agricultural Policy was already straining under increasing pressure from Brexit negotiations and the EU should not exist ‘just to provide another outlet for a product for which a commercial market cannot be found’.